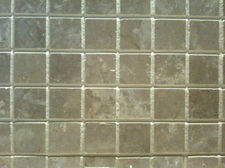 Purchase your tile at either Best Tile or Albany Tile. Have Altamont Tile do the install. In business for over 50 years. We had Greg Mueller tile our entire upstairs and downstairs bathrooms at our old house... it was a fairly big job and they did a great job. We found him on Angie's list because he had a great rating on there. I especially liked him because I had a lot of questions and he was very patient and answered them all. He just works with his son and his prices are really reasonable. His # is 673-2507... highly recommend his work. I know quite a few people who have been happy with Best Tile. As far as contractors DIY! Tiling is surprisingly quick, easy, and very rewarding. Just make sure that you buy or rent a tile saw as it makes all the difference. I'm not sure if you have to purchase from them to use their contractor, but I must recommend Gentile's Flooring on Central Ave. And don't be fooled by the "flooring" in the name! Thomas not only installed our kitchen, bathroom and entry tile floors but a gorgeous backsplash in the kitchen. He was able to work around our schedule and did a wonderful job.